So That’s What Law Firm Marketing Looks Like! Noble McIntyre, unloading turkeys in 2017. Over the years, I’ve had my fair share of fun skewering attorney marketing. There was, for example, the law firm that advertised over a urinal. Lawyers that used Google ads or YouTube to chase plane crashes and train accidents. And there were companies that wanted me to advertise on funeral websites or in an unethical manner. But when a law firm does it right — no matter how rare it may appear — we should sit up and take notice, yes? Enter, stage right, the McIntyre Law Firm in Oklahoma City. What did they do right to earn a little free press from me? On Thanksgiving Day they will distribute 2,500 free turkeys to the people in their area. And, I’m guessing, they will feel pretty good about doing it. It’s the 9th year in a row for the firm that, it just so happens, finds it convenient to distribute them from the parking lot of the law firm building. Nobody out there has to yell and scream “hire me!” The turkey recipients aren’t injured. The lawyers just do good deeds in the community. And when needs arrive for family or friends that may call out for legal assistance there’s a pretty good chance someone will remember who the good guys are. Community relations. It may be an effort, but it’s not a complicated concept. You can read more about the firm’s efforts in leading over 100 other Oklahoma firms around the state to feed the needy at holiday time at this link. Another day, another scam. 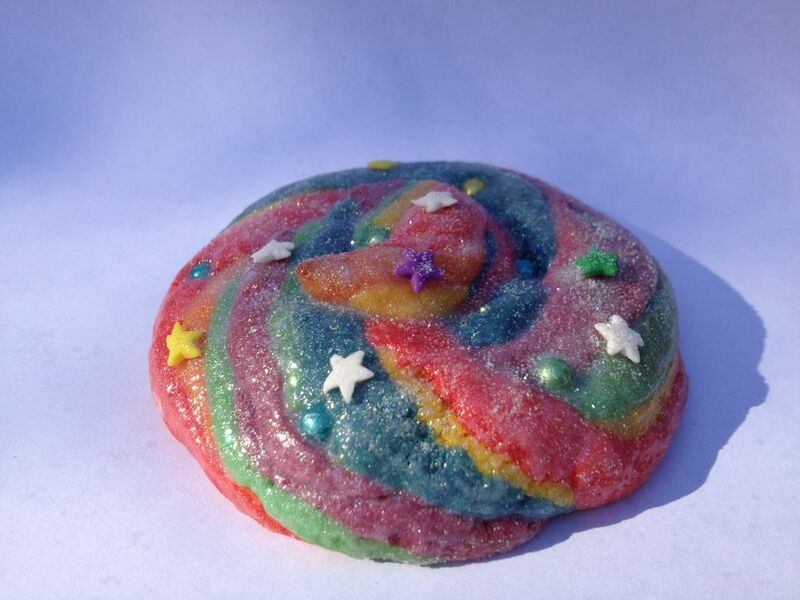 This time it deals with three unicorns. Frankly, it’s hard enough to be a plaintiff’s personal injury law practitioner fending off the relentless efforts of the “tort reform” movement, the cynicism of juries and the saturation of the market with attorneys. So when lawyers have to face competition from runners; ambulance chasers and the like, you can understand why so many of us are stressed out. 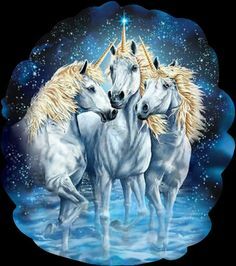 Today, we bring you our latest entry into our Hall of Shame, a trio of actual unicorns -Jose, Lisa, Mark, Marie and the rest of the gang over at Personalinjuryattorneyrocklandcounty.com. No, we won’t give this a link. What? You’ve never heard of them? Funny that you should mention it, because neither had we. Imagine that you were injured and you were looking for a well qualified attorney based in Rockland County, New York to sue the company you thought responsible. A quick Google search for a personal injury attorney in Rockland County brings up a number of results that unsurprisingly includes personalinjuryattorneyrocklandcounty.com because of the matching keywords. You click on the site and see a banner inviting you to “Discuss your criminal defense and personal injury legal matters with skilled, experienced lawyers.” What follows is a seemingly impressive lineup of attorneys: Partners Jose Anderson, Lisa Wilson and Mark Thomas have each been practicing for over forty years. From my initial contact with Lisa, I immediately develop huge respect for her. She was explicit with her information, as direct as can be. She explained what you would be up against, what to expect and what not to look out for. With credentials and testimonials like those, you’d think that the seriously injured in that area would be jumping out of their hospital beds to call and get an appointment with these folks. There are even two offices to contact in case you wanted to do just that. 1. New York Law prohibits attorneys from practicing under a trade name. Yeah it is a bummer that lawyers cannot advertize under a trade name in New York like they do in other states such as Arizona, Florida or Louisiana so you won’t find kickasslawyers.com or “TheArizonaDUITeam” here in the Empire State (Rules of Professional Conduct 7.1 ). So right away, we have an issue with Jose and his buddies doing so in our neck of the woods. 2. New York law prohibits the portrayal of a fictitious law firm. That big, fat, no no is right there in black and white in RPC 7.1(c)(2). This so called law firm is fictitious, because…. 3. These “attorneys” aren’t licensed in New York. Really? After all Jose supposedly graduated St. John’s Law in ‘71 and claims to be admitted to practice in New York since ‘72 and has even made it all of the way up to the Supreme Court! Sadly, this is news to the Office of Court Administration who has no record of an attorney by the name of Jose Anderson nor is there a record of a Lisa Wilson, or a Mark Thomas being admitted to practice in New York – ever. Run a search yourselfand see. We do recall learning about something known as the unauthorized practice of law and how that is generally frowned upon by the authorities. This sure looks like the unauthorized practice of law to us. When we said unicorns we weren’t kidding — these attorneys simply don’t seem to exist. 5. The Phone Numbers go right to voice mail. So somebody has taken a lot of time and effort creating and editing a website devoted to attracting potential personal injury clients while disguising their true identities. We say editing , because the website has undergone revisions since the summer of 2015 when it blatantly copied sections of text from legitimate websites of New York City area law firms and placed that text in its practice areas. That text and those references are no longer present on the site. Who is returning the phone calls left on the website’s two phone numbers? Is there someone who goes out and meets with the unsuspecting people who call looking for a lawyer? What lawyer or law firm is signing up these people and undertaking to represent them in court? You have seen this act before, dear reader, but perhaps never so blatantly. It’s the lawyer who chases the mass disaster crash, a/k/a the ambulance chaser. It’s the lawyer that, by doing so, smears the names of all others in the lawyering profession. Today’s story comes up because Dean Weitzman, managing partner of the Philadelphia firm Silvers, Langsam & Weitzman, decided it would be a swell idea to send out a press release to the local press letting everyone know that they would be accepting cases from the Amtrak crash. (Which is not an “accident” by the way). available to provide representation for victims and injured persons in last night’s Amtrak derailment in North Philadelphia. Dean Weitzman is also available to media outlets to give analysis and discuss what happens next. The firm is, as I understand it, (in)famous for slathering Philly with its ads, using the moniker My Philly Lawyer. It was exactly this type of grotesque chasing after cases that led New York to create its 30-day anti-solicitation rule (and I presume to a similar federal 45-day rule for airline disasters). In the immediate wake of the 2003 Staten Island Ferry disaster that killed 11, some lawyers ran to the Staten Island Advance to place ads for the next day. But there were still bodies on the boat when many of them did that. This type of wretched behavior has repercussions. I see it when I step into the jury room to select, as do others in the profession. Calling the jury pool cynicism deep would be an understatement. If the cynicism came solely from insurance company propaganda, it would be one thing. But when the smear comes from your own ranks, then what? Then it becomes the obligation of others in the profession to express their contempt for the practice and issue a complete disavowal of the conduct. Let there be no mistake about my position here: Dean Weitzman and the firm of Silvers, Langsam & Weitzman do a grave disservice to the cause of justice and to those who have been injured. By chasing ambulances in this fashion they perpetuate an ugly stereotype, whose ramifications are felt not only by members of the bar but more importantly by those we represent. As I noted back in 2009 in a short analysis of anti-solicitation rules, they do work. In honor of the chasing that Weitzman is doing, it looks like time for Pennsylvania to follow suit with an amendment to its rules. Since Dean Weitzman said he was “available to media outlets to give analysis and discuss what happens next,” I’ve sent him an email seeking comment about the appropriateness of sending out such an email within 24 hours of the crash, when all of the passengers aren’t even accounted for. If he elects to respond I may amend this post. Over at The Lawyerist, Sam Glover is having a contest for the best lawyer website, a contest I would never win as I hate mine. I skimmed his piece and then went to get a haircut. 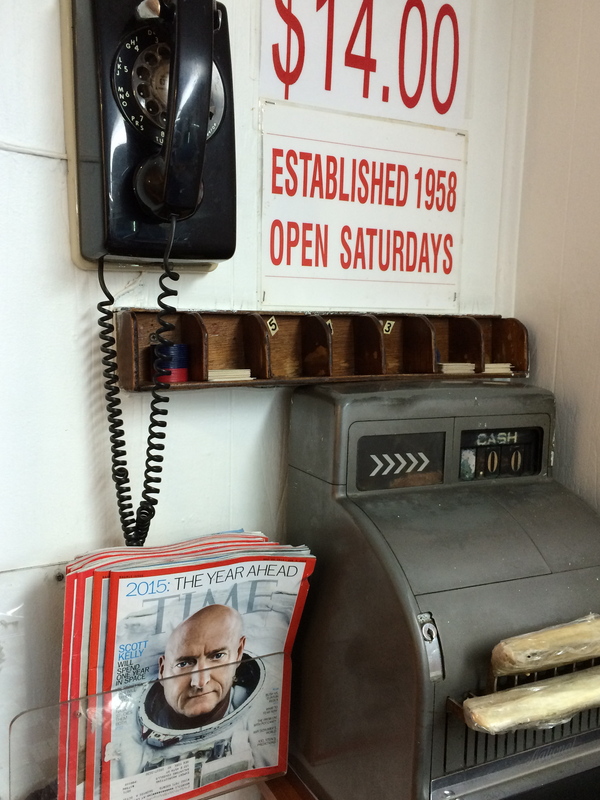 My barbershop has a rotary phone, which you can see here. And an old time cash register. The shop doesn’t have a Twitter or Facebook account, no Flikr, Tumblr or Instagram. What they do is this: They give good haircuts at a good price. There is a barber’s pole attached to the building. I don’t care what business you are in, be it goods or service, this is something to think about: That barbershop is always crowded. Is Any Lawyer Advertising Good? I’m not a fan of lawyer advertising. Likely because so much is dreadful (though not all). Or ethically challenged. But when The Fishtown Lawyers, Leo Mulvihill and Jordan Rushie, were contacted by the Philadelphia Eagles about advertising during their games, I think they missed the boat by saying “no” too quickly. Maybe going over the top is OK — no, not with a flaming sledge hammer of justice. Maybe you just have to go over the top the right way. Have you been falsely accused of running naked onto the field in front of 50,000 people? Were you busted for recycling your pre-game beers down from the upper deck perch onto the heads of choir boys and nuns below while the video cameras rolled? But you thought it was fresh beer, so it was OK? Did you dis a cop at a crowded tailgate party, “You can only catch me in your dreams?” Before collapsing into a pool of your own vomit? Call The Fishtown Lawyers, Mulvihill & Rushie, to help save you from such well-documented, though no doubt scurrilous, accusations. That’s The Fishtown Lawyers, Mulvihill & Rushie, who know from personal experience that consuming a mere 5 – 10 drinks can make others level all kinds of false accusations against you. 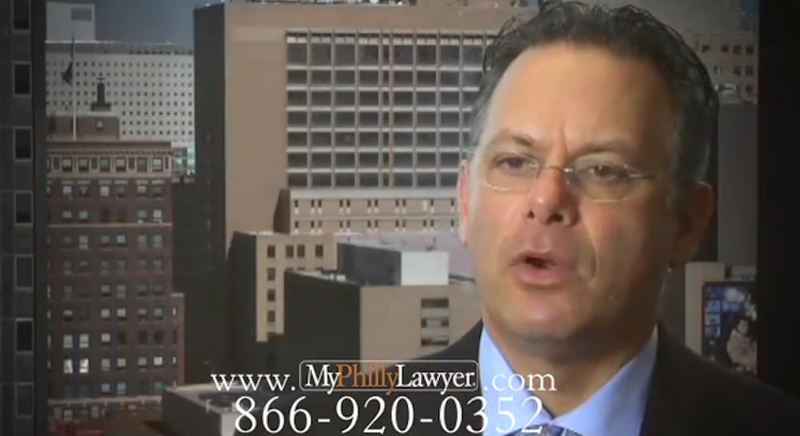 Why the Fishtown Lawyers? Because representing yourself might not be such a hot idea. And we promise we’ll be sober in court. Too bad they don’t have the guts to run it.